The empanada is an eat-with-your-fingers kind of food we norteamericanas take for granted. 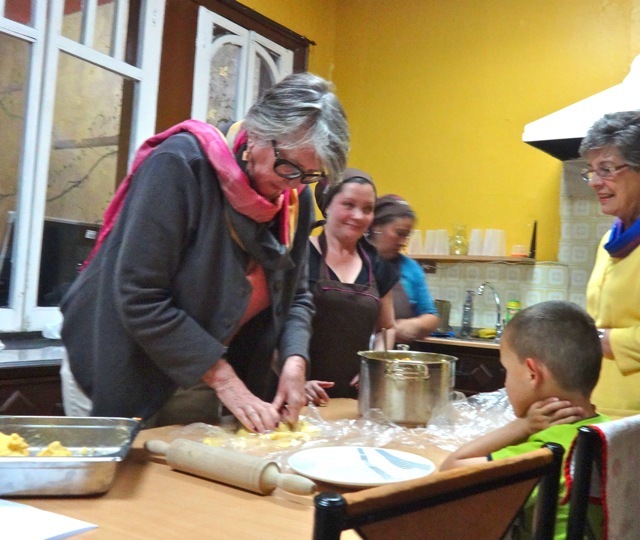 So when I saw the ad at my Spanish school here in Cuenca, Ecuador to learn how to make Colombian empanadas, I signed right up. 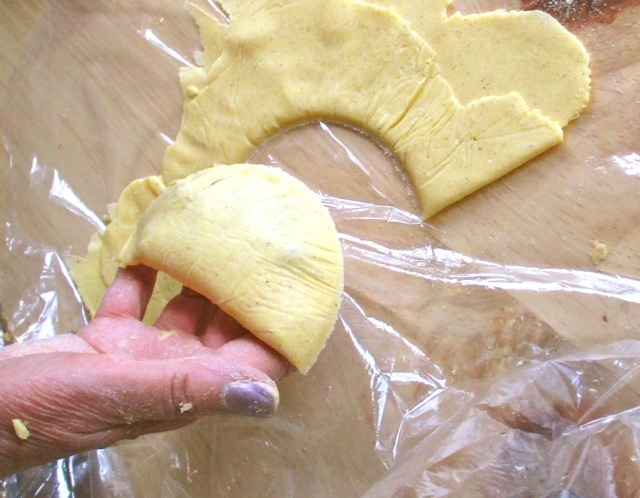 The empanada dough, called masa, couldn’t be easier to make. Now, right here I have to make my disclaimer. We watched our Colombiana teacher, Paula, just eyeball everything together. No measurements. No measuring tools. So in the following recipe, in the measurement department, you are on your own. Paula created her empanada filling with potatoes, ground beef, vegetables & spices. I used a shrimp & rice filling for half my empanadas; potatoes & ground beef for the other half. Scrub potatoes, cut in chunks and boil. Mince carrots and onions and cilantro and sauté with the cumin, salt and pepper in hot oil. Set aside. Saute ground beef. Set aside. Mash the potatoes (Paula did this with her hands; no potato masher tool!) and mix with the vegetable and ground beef. 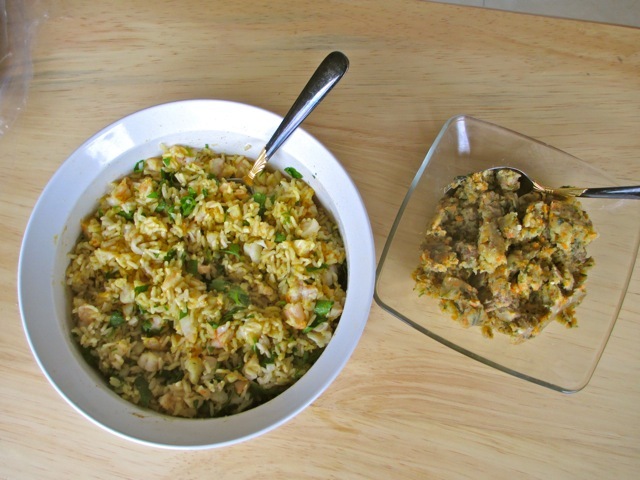 In a shallow baking dish, combine corn meal and warm water. 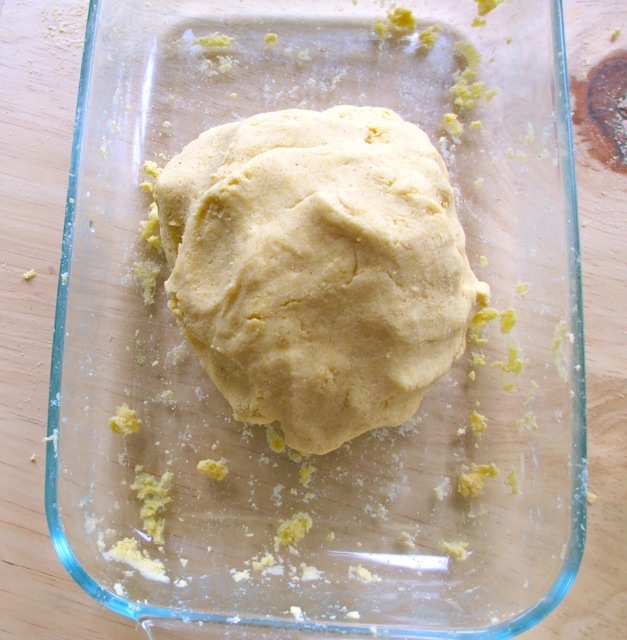 With your hands, mix and knead into a ball (called masa). Personal note: I like to mash the water into the corn meal first as much as possible with a fork, then use my hands to knead the mixture. 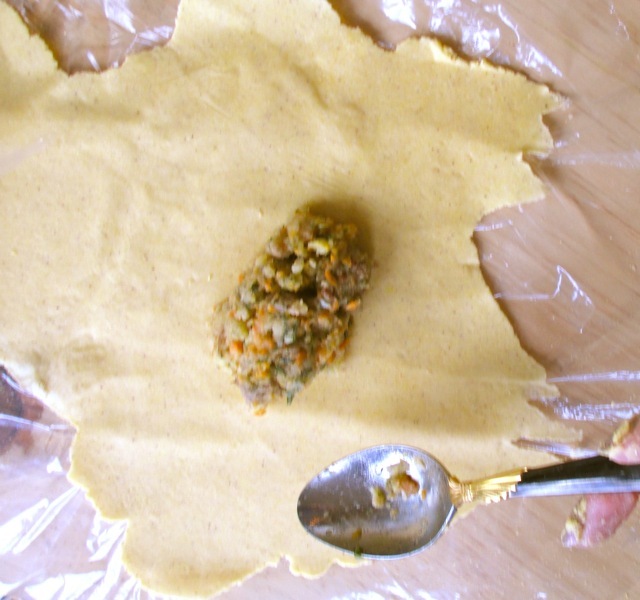 When the dough is relatively smooth, pull off a small ball to make the round empanada. 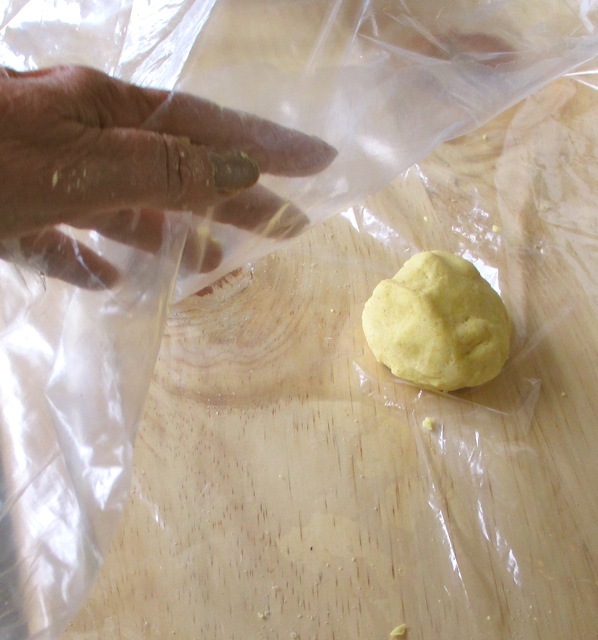 Put the ball between 2 pieces of clear plastic (not Saran wrap--it’s too thin). 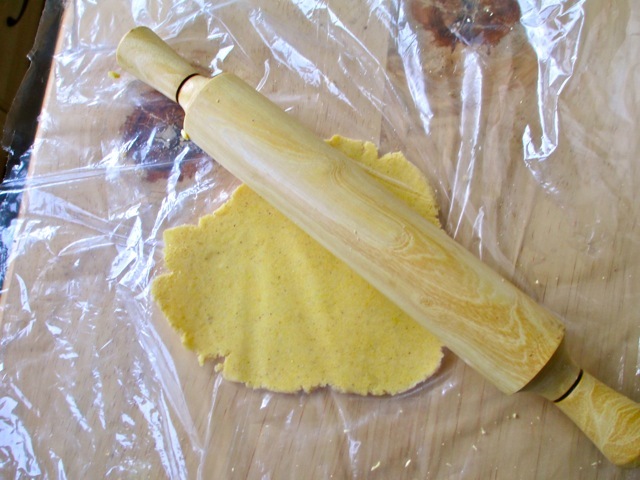 With a rolling pin, roll it into a thin circle. In the middle of the circle place 2 tablespoons full of the filling mixture. 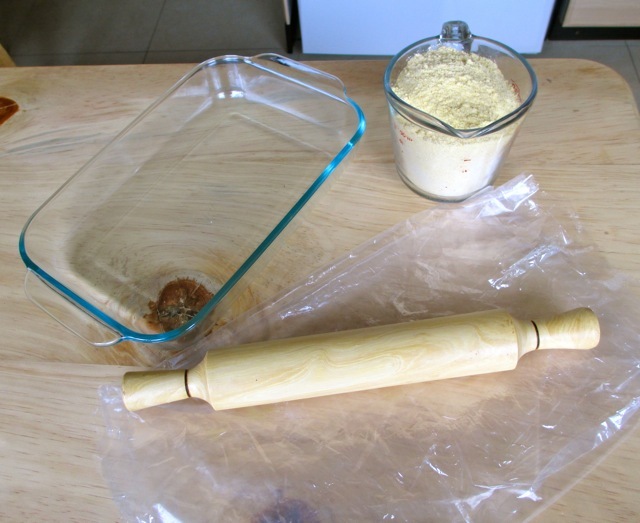 Using the plastic wrap, fold the empanada over the mixture. With your fingers, pat it into a half-moon shape. 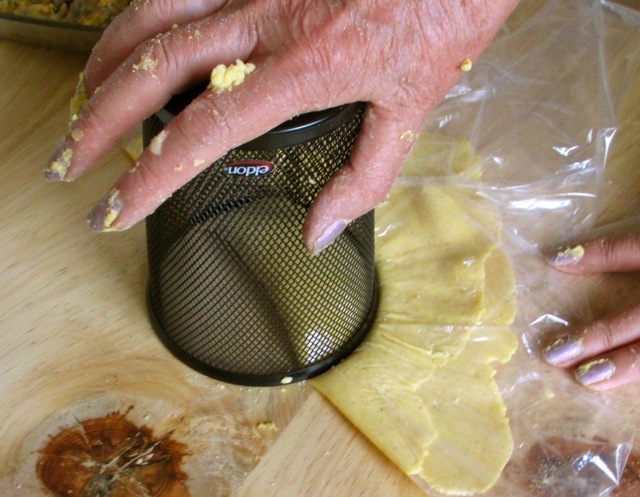 Place a round-edged bowl or glass over the plastic and press down, like you would a cookie cutter. Now this is where you do as I say, not necessarily as I did! The only thing I had that was the (larger) size I wanted was a metal pencil cup! But it worked just fine. 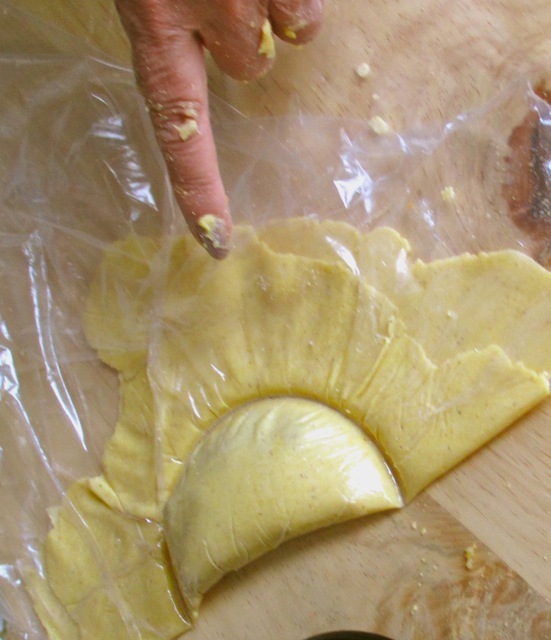 Peel back the top layer of the plastic and move the perfect empanada to a plate. Repeat the process until you’ve used all the masa and the filling. Set each empanada aside on a plate. Heat up a lot of oil in a pot. 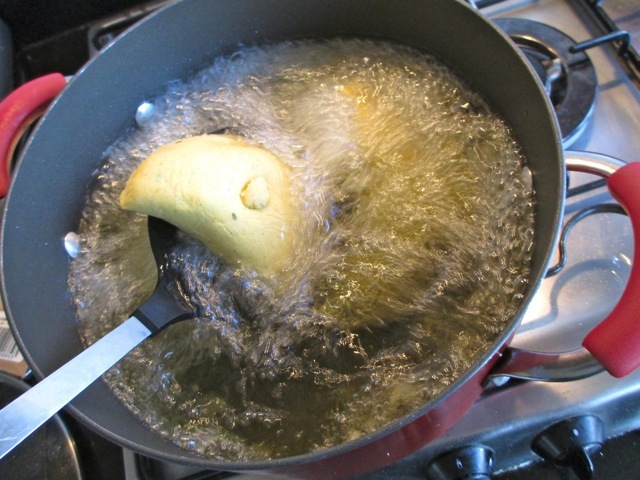 With a slotted spoon, lower each empanada into the oil to cook. You can deep-fry 2 or 3 at a time if your empanadas are bowl-sized (large) or 5-6 at a time if they are glass-sized (smaller). Deep fry them for about 5 minutes. 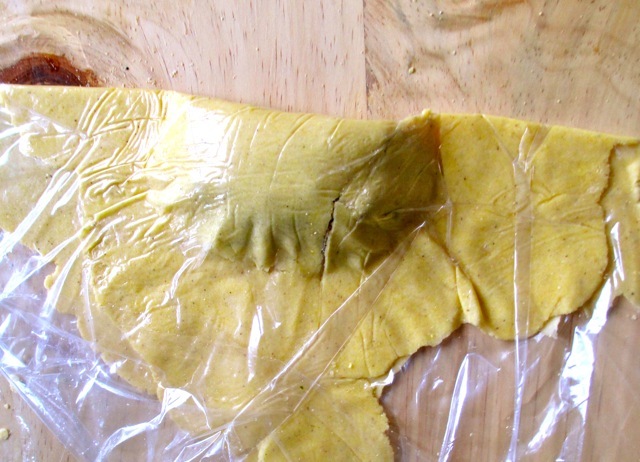 Remove from the oil and put them on a plate with a paper towel to drain. Note: I put that little button-ball in the middle to differentiate the shrimp empanadas from the ground beef empanadas. I put too much filling in that one on the right, and it kind of fell apart in the pot. But it tasted just as good! Serve your empanadas with pico de gallo or a hot sauce of your choice. 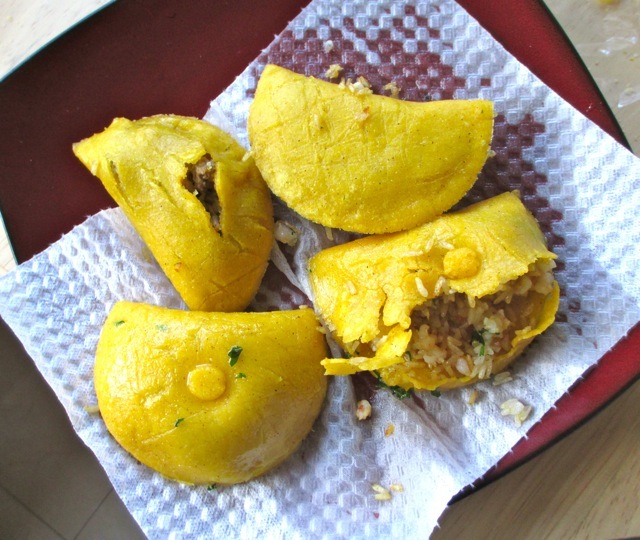 Our Colombiana teacher, Paula, says that in Ecuador, it’s more common to fill the empanada with a rice and chicken or shrimp mixture, rather than a potato-base mixture. Now, go forth and let there be EMPANADAS! If you enjoyed this article/recipe, I'd love it if you'd subscribe below so you won't miss any of our latest adventures!